Editor’s Note: This article was originally published at The Gospel Coalition. It has been republished here with permission from the author and TGC. ﻿I spent a year teaching English in Shanghai in the mid-1990s. Even back then I recall how friends from the “underground church” in the People’s Republic of China had experienced much persecution. At the time I was certain that in a decade or two, with the flattening of the world and greater international exchange, life for Christians in China would vastly improve. Fast forward to December 2018. Social media were abuzz with reports and prayer requests for Early Rain Covenant Church in Chengdu, a central region province in the People’s Republic of China. The church’s pastor, Wang Yi, was arrested, along with his wife, the elders, deacons, and dozens of members. Many members and leaders were unaccounted for after a massive effort by police and other authorities raided and detained Christians over the course of several days. On the eve of his impending arrest by police, Pastor Yi penned this powerful message for his parishioners. For the watching world, including believers who share the same faith with our brothers and sisters in China, we have much to learn from them. Here are five lessons we can learn through their sacrifices. With the ultimate goal of obtaining dual citizenship (one on earth and one in heaven), we are often caught in the tension between the City of God and the City of Man — both admired for our good deeds and also persecuted for our uncompromising faith. We should not put our faith in a “Christian” government, with the expectation of easing our suffering. Sometimes citizens of heaven will be required to disobey their earthly governments and rules of law when they are contrary to Scripture. Imagine preparing for Sunday worship as a member of the Early Rain Church the day the church’s pastor, leaders, and their families were arrested and charged with various crimes. The church was raided and the building shut down; doors were locked and boarded. You heard rumors that police would be waiting to arrest anyone who showed up to a worship service. Despite all of that, members showed up. They worshiped outdoors since the church facility was shut down; many were promptly arrested, as rumored. Our brothers and sisters embraced the reality of suffering. As the Lord warned his disciples: “In this world you will have trouble . . .” (John 16:33). Since the earliest days of the Christian church, “trouble” has been part of the story. As recorded in Acts and other historical accounts, the church has often grown in the presence, not the absence, of suffering and persecution. The threat of religious nonprofits losing tax exemption keeps some North American Christians up at night. But I would not call this persecution. It may be right to be angry about the hostility Christians face in a secularizing North American context, but this anger is categorically different from the persecution our Chinese brothers and sisters, and some other Christians in the majority world, are experiencing. Dear Christian, even if we are never under police interrogation, may we always be prepared to bear powerful witness to the truth of the gospel. The suffering church in China is not alone; there are persecuted Christians all over the world from whom we should learn. Last summer I visited an immigrant Korean-language church in Houston and heard the prayers of a 90-year-old pastor. He prayed a prayer of thanksgiving in Korean for God’s faithfulness, beginning from the days of the Japanese occupation of Korea in the 1930s and 1940s. He then thanked the Lord for opportunities to worship during the Korean civil war of the 1950s. He thanked God for his faithfulness in the midst of immigration stresses that come from not knowing the English language or American culture, yet still being able to worship the Lord freely. By the end of the prayer, I was bawling. I wondered if I even knew the same God as this brother. Such a heart of gratitude is something we can all learn and benefit from. The church of Jesus Christ continues to suffer in places like China, North Korea, and many other nations around the world. We have much to learn from these brothers and sisters who maintain their faith in the face of persecution. Let us continue to pray for and learn from them. Let us count the costs of following Jesus, and let us follow him anyway. 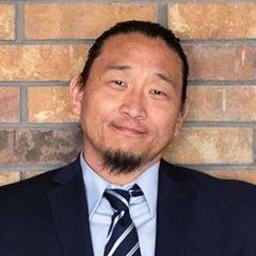 Alexander Jun is professor of higher education at Azusa Pacific University and elder at New Life Presbyterian Church of Orange County. He was moderator of the 45th General Assembly for the Presbyterian Church in America.